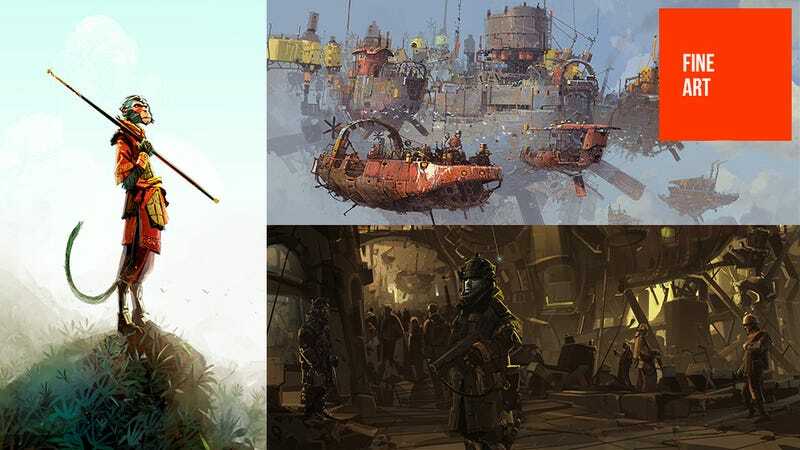 Scottish artist Ian McQue has worked at Rockstar North since, oh, the dawn of time. Over the years he's contributed art to games like the Grand Theft Auto series, Bully, Manhunt, Agent and even Body Harvest, the studio's cult N64 game. What do Grand Theft Auto and Lemmings Have In Common? Currently lead concept artist at Rockstar North, the home of the core Grand Theft Auto games, McQue plays a big part in defining the look of one of the most successful (and stylish) video game franchises around. In the gallery below you'll see examples of some of McQue's work. Sadly, like most of Rockstar's stuff (Red Dead excepted) his professional work is under lock and key, but his personal work here is still incredible. Really, it's some of the best stuff we've featured here in a long time. You can see a lot more of it at his personal site.